I love garlic, hardly a day goes by when I don’t use it in my cooking and October into November is the perfect time to plant autumn garlic which will be ready for use from May onwards. Here in France, garlic is classed into 3 different types; l’ail blanc, l’ail rose and l’ail violet. In the main it is the I’ail blanc and I’ail violet varieties which should be planted in autumn, but there are also a few types of l’ail rose which can be planted in October or November. Softneck and hardneck simply refers to the flowering stalk of the garlic, called the scape or batôn in French. Softneck garlic does not produce a flowering stalk. Softneck varieties produce more cloves which tend to be smaller and have a longer shelf life than hardneck varieties. Hardneck garlic does produce a flowering stalk. 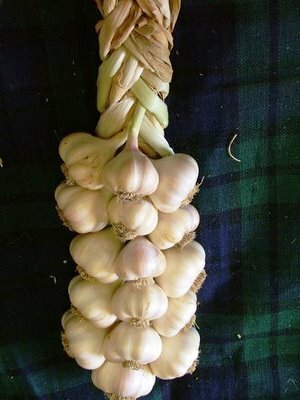 Hardneck garlic is generally hardier than softneck varieties and produces fewer, larger bulbs than softneck garlic. 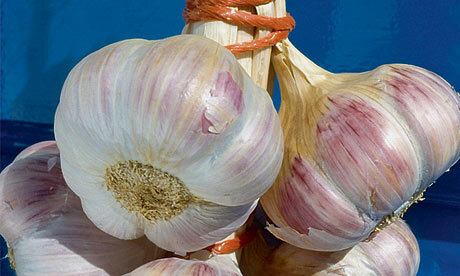 However hardneck garlic has less of an outer bulb wrapper making them more sensitive and thus reducing shelf life. You’ll find many different types of autumn garlic here in France, but when living in France I think it’s only fair that we give a French variety a go, below is a list of the more common French varieties of autumn garlic. Germidour, l’ail violet de Cadours. A softneck garlic which produces large white bulbs with a mild but rich flavour. Valdour, l’ail violet de Cadours. A softneck garlic which produces an excellent yield. Jolimont, l’ail blanc de Lomange. A softneck garlic which produces white skinned bulbs which have a delicious flavour. Messidrome, l’ail blanc de la Drôme. A softneck garlic which produces large white bulbs with an excellent flavour for cooking. Messidor, l’ail blanc de la Drôme. A softneck garlic which produces white bulbs with a very good yield. Therador, l’ail blanc de la Drôme. A softneck garlic which is very hardy, very strong and very divided. Thermidrome, l’ail blanc de la Drôme . A softneck garlic which produces ivory-white cloves with a medium flavour. Very hardy. Goulurose, l’ail rose de Lautrec. A hardneck garlic. Iberose, l’ail rose de Lautrec. A hardneck garlic. Edenrose, l’ail rose de Lautrec. A hardneck garlic which is renown throughout France for its superior, delicate flavour. Whichever variety you chose you ideally need to plant your garlic before December, thus ensuring that the plant experiences the cold weather necessary to develop. Plant in the sunniest position you can and in well-draining but moisture retentive, fertile soil. Plant each clove 3-4cm deep and cover with loose soil, ensuring that you leave a 10-15cm space between each clove. If you have chosen a hardneck variety it is better to cut off the scape or flower stem otherwise it will drain energy away from the bulb and leave you with a smaller crop. Although if you have planted quite a few cloves, why not let a few flower and brighten up the vegetable garden! 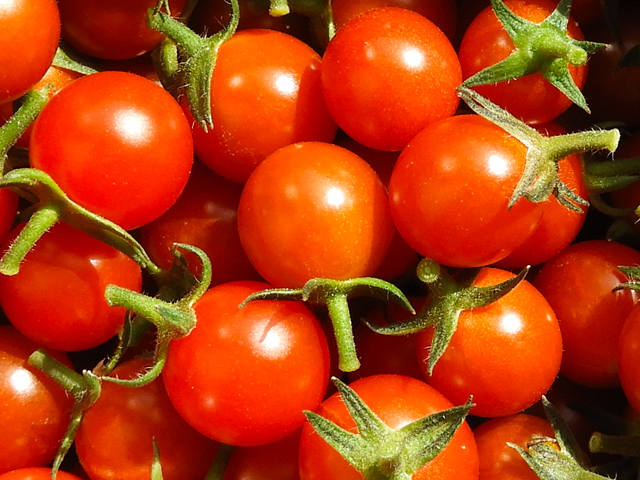 You should harvest softneck varieties once the stems have started to drop and hardneck varieties, which do not drop, when leaves have turned brown. 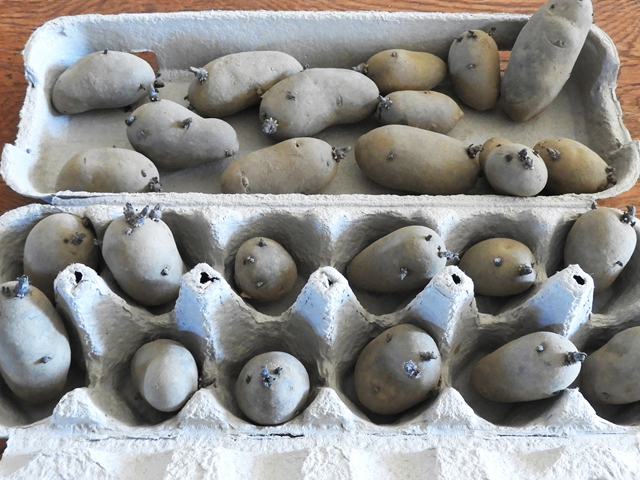 I have chosen to plant two varieties this autumn, Edenrose and Messidrome and I look forward to telling you about their flavour and yield next spring. If you have planted your autumn garlic I’d love to hear about which type you have chosen and why so please do not hesitate to leave your comments in the box below. Thank you for the article on garlic . My partner has bought some Messidrome today that should be sown in autumn. Do we sow it or try to keep it until next autumn? We live in the Limousin. I will plant it and see! Hi Katherine- we live near Rochechouart . One last question please? We have lots of cloves I have planted in my potege well away from the house. We wanted to plant some in the herb garden next to the house but …. Is it very smelly like wild garlic?? Hi Eddie. No it’s not really smelly like wild garlic, so safe to plant near the house, ours is. The messidrome type you have bought does not produce a flower (scape) either so minimum smell really. The leaves, when crushed will give of a garlic smell, but that’s about it. 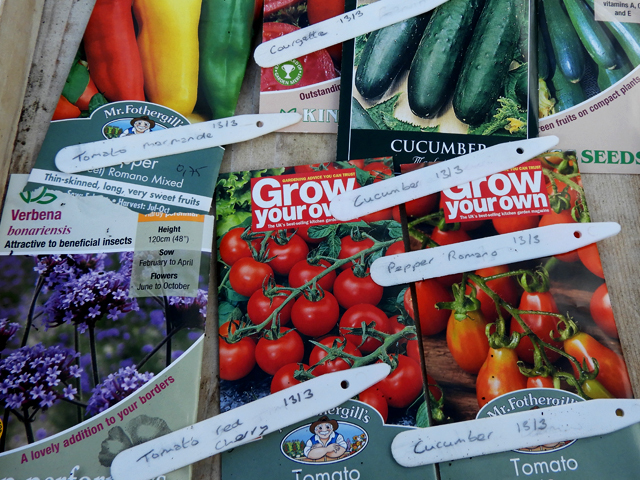 Excuse me Katherine – mon potager, thanks again for your help. I will put the last of it in the herb garden tomorrow! Lovely post – love garlic – so good for us, and love the big French bulbs – the violet is my favourite. Love wild garlic too but can’t find any near me here in the Limousin. Hi, thanks for all your garlic info! I just bought some Germidour and Theridor – 1/2 kg of each which came out at 134 bulbs! I’m hoping for a good crop, I only managed spring planted this year and they were a bit pathetic (I don’t think the hot, dry April helped!). I’m going out to plant now, just popped in to check your planting instructions. Brilliant! Before moving to France I never realised the world of garlic could be so confusing, there’s so much choice! I know – in Australia it is the scary dyed bright white / chemically treated Chinese stuff or the ‘take out a mortgage before going to Woolies’ Aussie grown stuff! October 7, 2018 @ 2:10 pm jardin-perdu / October gardening jobs. Our list of jobs to do in the garden this October.